Our top-events marathon is still running and we continue seeking for the most interesting conferences for different business niches. In case you are interested in the best IT events for 2017, check out our article and attend the ones that fit your scope of business the most. Today we are going to take a look at the upcoming financial technology conferences 2017, which are widespread and popular within different niches nowadays. They are held for startups to find their investors and vice versa as well as for educational reasons. It’s not a surprise, that the number of startups grows very fast every day, hence the need in such kind of events is huge. The latest FinTech trends also convince us, that financial technology conferences can be helpful at least from informative point, because many startups CEOs are quite interested in getting familiar with such topics as: cryptocurrency, financial planning services, banking automation and funding, digital security solutions, mobile techs for trading, investment and payments. 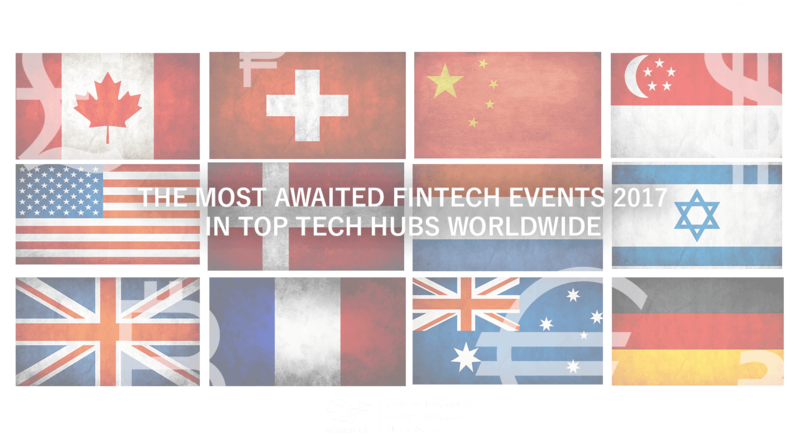 Overall, the list of FinTech events 2017 shows us that this year is quite promising for startups. Here, it would be nice to provide you with an example of startup FinTech enterprise that is successful and interesting to review. Being a provider of dedicated teams for FinTech companies and ready solutions for startups, Mobilunity has experience in the niche of financial technologies as can be reviewed on the example of Chip-In – a mobile application which is created for those who are bored with traditional methods of saving money and long for a challenge. Analysing the latest FinTech trends, there was a decision to make the app one of a kind, to allow people save their money in a more sophisticated, social, creative and funny way. You can invite friends from your Facebook network, set your personal and collective goals and get money transferred directly to your card. The app is hybrid in order to be flexible and reliable to ensure that function usability and security are a priority. Using Cordova framework, AngularJS, Ionic and PHP coding – the app came out multiplatform, therefore available to as many users as possible around the world. If you have an idea to open the startup FinTech enterprise, don’t hesitate visiting at least one of the best financial technology events 2017 we’ve reviewed here. If you want to plan the event everyone would talk about, click here to get started! To get a ready and working solution for your startup, leave a request and we will become your leading partner in the long run! How Odoo Software Can Be Helpful in Business?